A bedroom is your most personal space since it is there where you rest, enjoy moments of intimacy or spend some quiet time. Sometimes it can even be your home office when required. Therefore, it is necessary to renew these rooms from time to time, either through a change of furniture and textile or by giving a new life to their walls. If you want to see some inspiring proposals, then this ideabook is a must read. 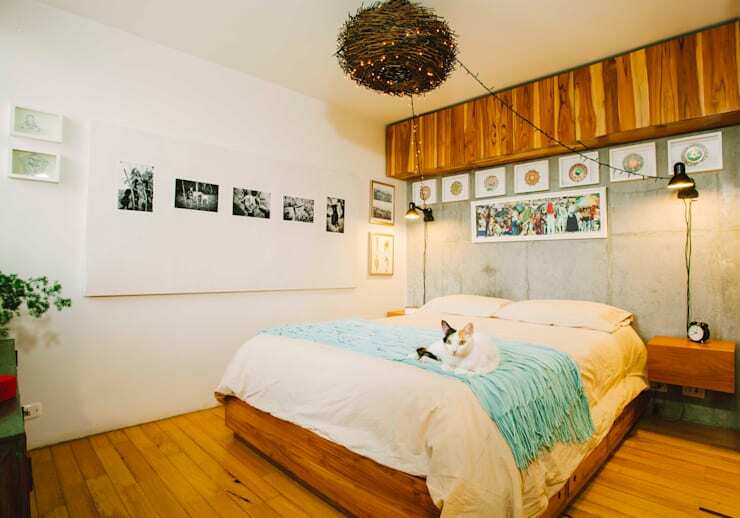 We are accustomed to having personal photos in the living room, but what about the bedroom? Photos are a way to immortalize memories, and in a place as intimate as your room, it can serve to give an emotional and personal touch. They are also a straightforward resource for decorating the walls. One can play not only with the image itself but also with the frame and the ways to combine different photos. Whether using black and white or playing with colours, pictures are perfect for adding bedroom wall decor. 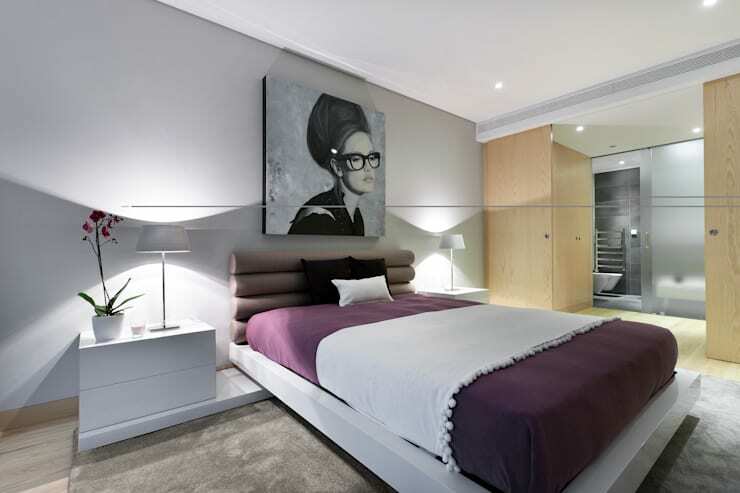 A small bedroom is where the white colour reigns can be perceived with more light and spaciousness. But a room that incorporates intense colours can add an extra dose of energy and vitality. 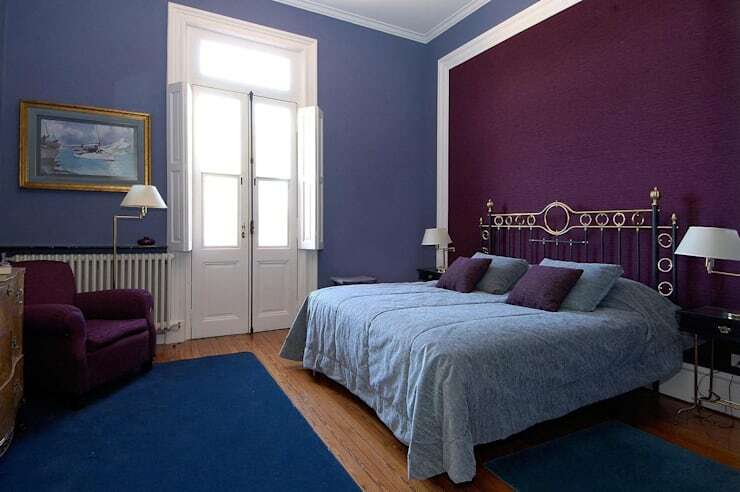 We must be careful when it comes to combining the colours, as they should harmonize so that the bedroom looks cozy. 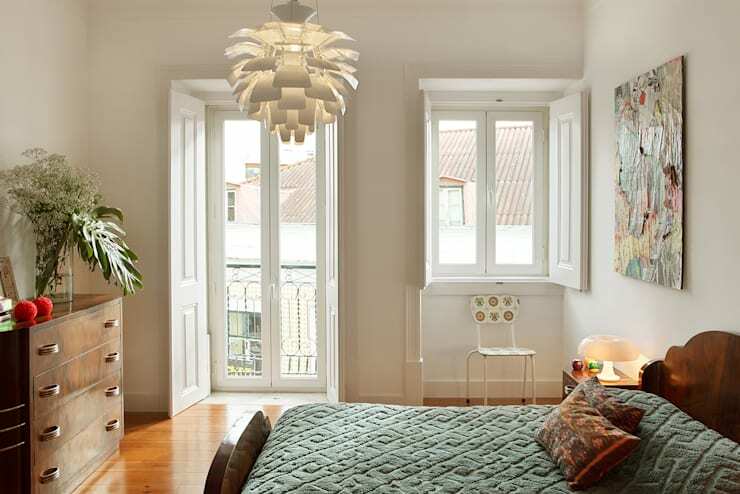 Therefore, contrasting the primary colour with light tones can serve to achieve the perfect balance. It will also turn your focus in the same colour range and play with their tonalities. If you are looking for a practical and inexpensive option to give new life to your walls, then wallpapers are perfect. There are lots of designs and colours with which one can display their creativity and achieve a very personal decoration style. This option which was unimaginable once for rooms is now becoming more common in modern homes. 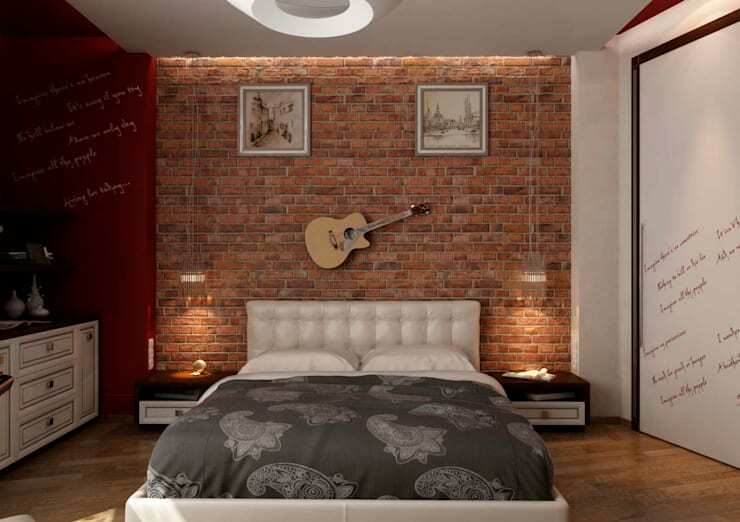 A brick wall design is ideal for people who adore industrial aesthetics or who are looking for something more classic. They can also be used in bedrooms that look for a rustic style, as bricks are also associated with this type of construction. When we opt for this solution, it is essential to reserve to only one of the walls for all your decorative protagonism in the bedroom. If the bedroom has a little vertical space available, then you can also use mirrors to decorate walls in addition to light colours. 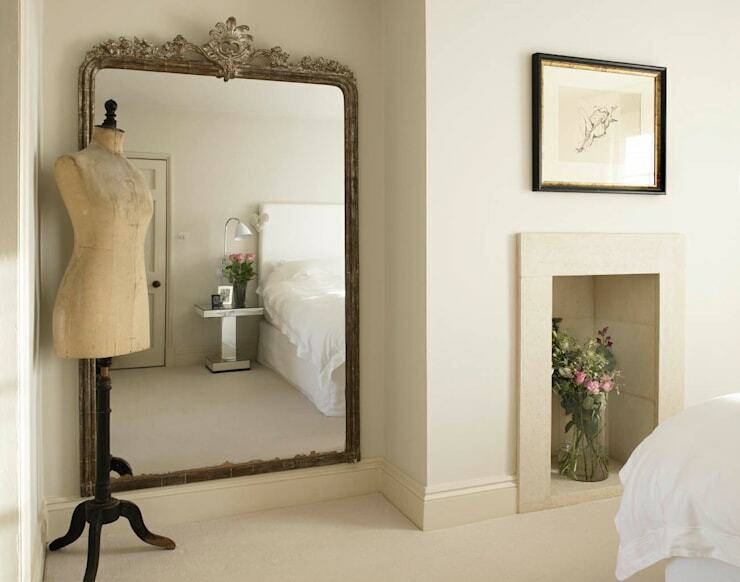 Placing a large size mirror with a decorative frame, will not only visually expand the space but will also become the protagonist of the room. Putting a large format picture of a theme that intrigues us is a simple method to dominate the main bedroom wall uniquely. Music, nature, art or travel anything could be included in your design. Choose a theme that best suits you and your personality. 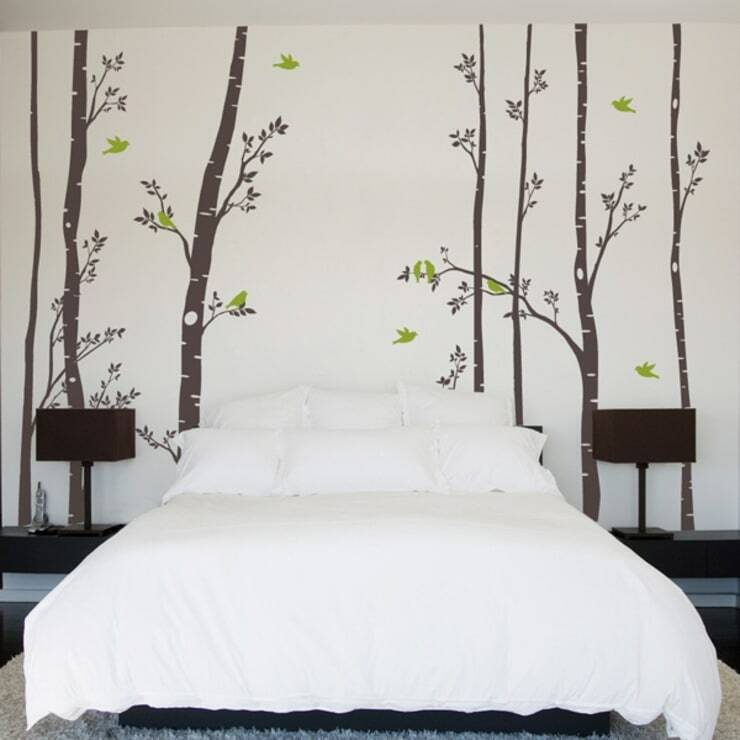 A beautiful looking vinyl is a practical and easy solution to decorate the bedroom walls. It can incorporate a touch of colour to your design quickly. Also, they work for every wall of the house including the kitchen, bathroom or the bedroom. 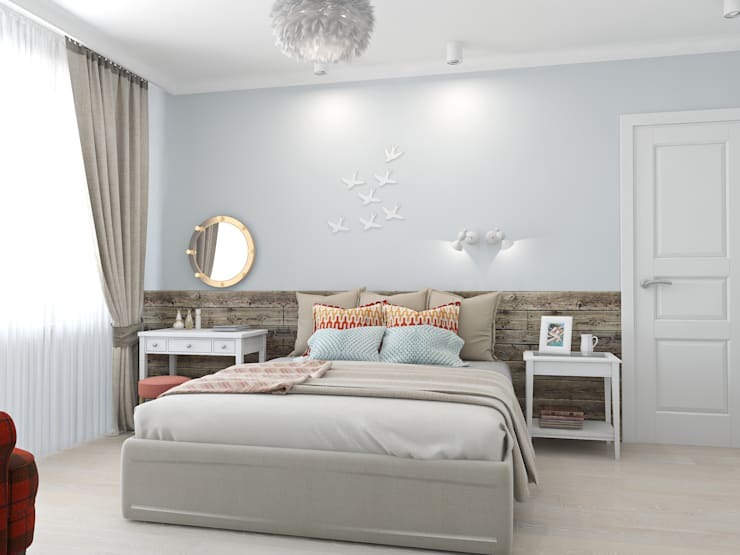 Soft colours or pastel tones are undoubtedly the most used ideas for decorating walls in a bedroom due to their ability to generate a quiet environment. It creates harmony within the room making it ideal for relaxing. One of the best ideas for decorating bedrooms is wall art. If you are an art lover, then do not hesitate to incorporate it into your design. You can take inspiration from the beautiful bedroom of the image. Another fashionable design trend today is the rustic style. If this is your decorative preference too then, there is no doubt that you should add stones to your interiors. It is always better to use natural stones, but there are great alternatives available easily. 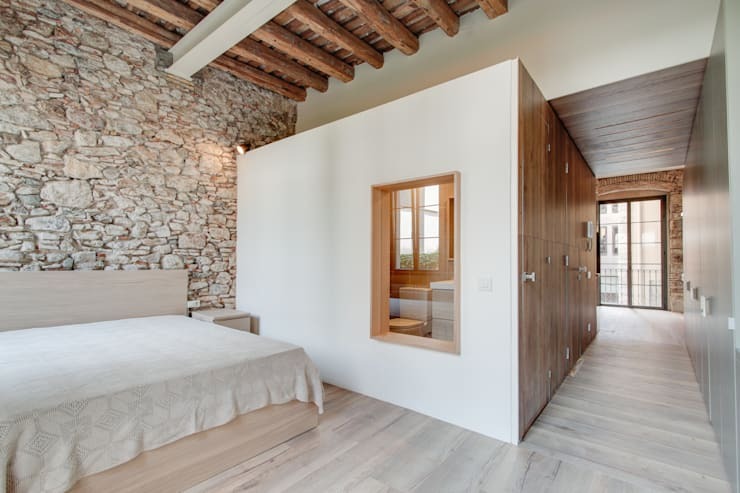 The wooden walls also complement each other very well with their light tones. 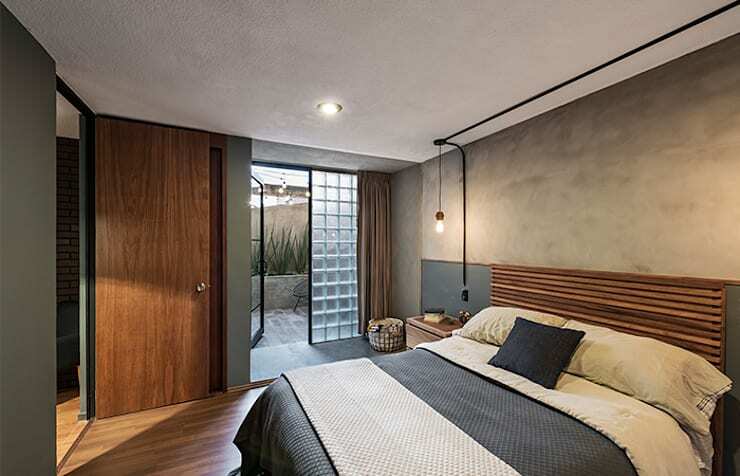 Concrete, a material that can be cold for domestic designs, can also make your interior look sophisticated, with a minimalist or industrial approach. If you like the aesthetics of concrete walls, you can opt for materials of similar appearance. Such as micro cement, which gives a finer finish to your bedroom. 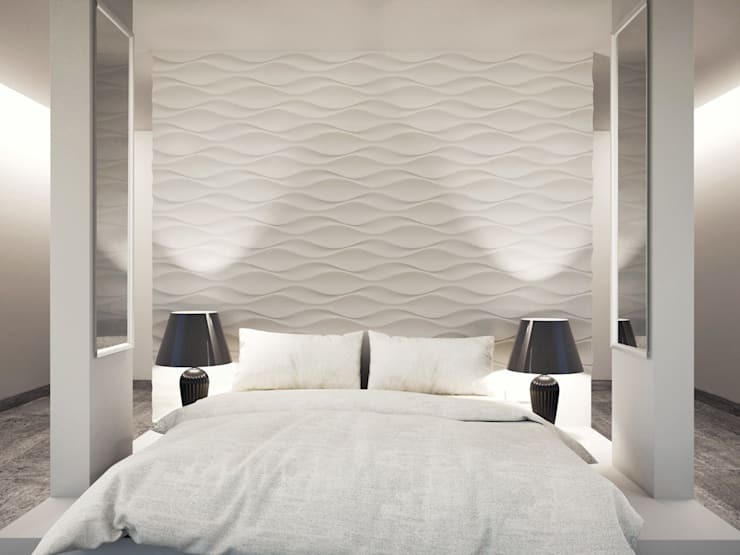 Walls that incorporate textures or patterns can be put into value with adequate lighting. One can include fixtures with different intensities and plays with the indirect light so that the bedroom is transformed completely at night. The vinyl we talked about above can not only change the aesthetics of the rooms but can also enhance the walls. We only need to choose designs that incorporate bright colours, such as the wall in this photo. 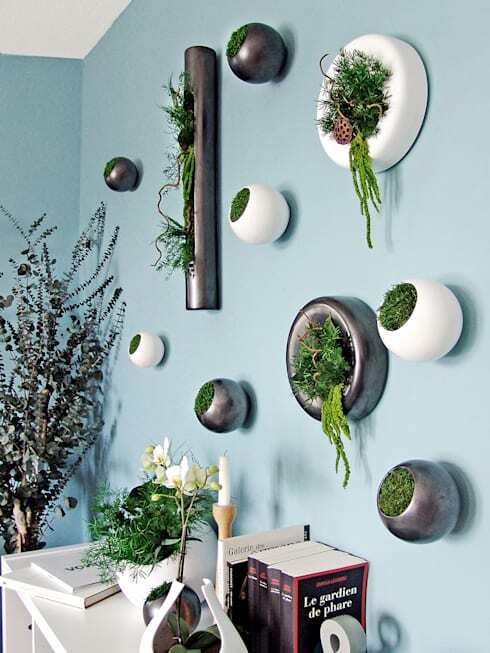 Vertical gardens are a trend that we find in modern interiors. 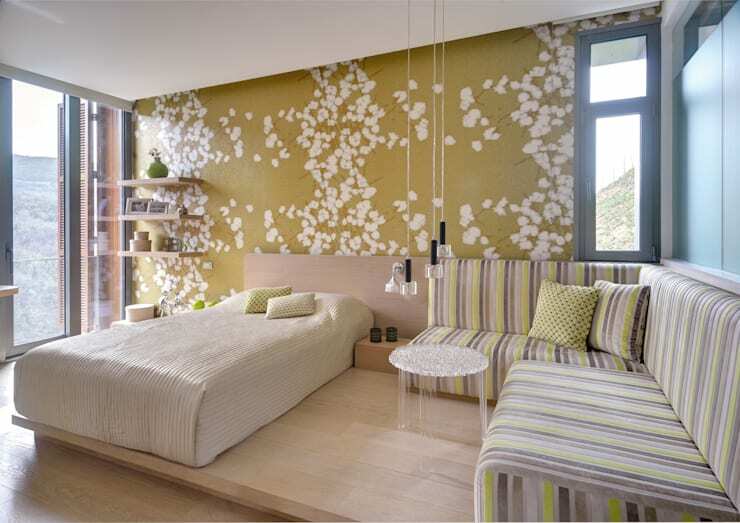 If you miss the contact with nature, do not hesitate to decorate your bedroom walls with plants. Playing with the design and location of pots can also help you achieve a unique decoration style as seen in this bedroom.